Here is my Dream Home St James Review. 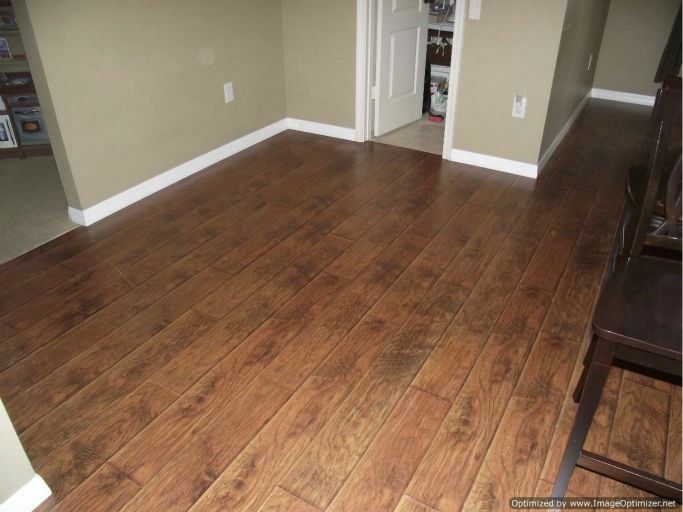 This laminate flooring is sold by Lumber Liquidators. It is a 12mm with an attached 3mm padding. My clients bought it on sale at 1.99 a square foot in August of 2012, regular price is 2.79 per square foot. The color I installed is Burnt Road Russet. It has a V-groove on all four sides. It has an AC 3 rating. AC 5 is the best. Also has a 30 year warranty. I do not recommend this laminate flooring, especially for a do it yourselfer. 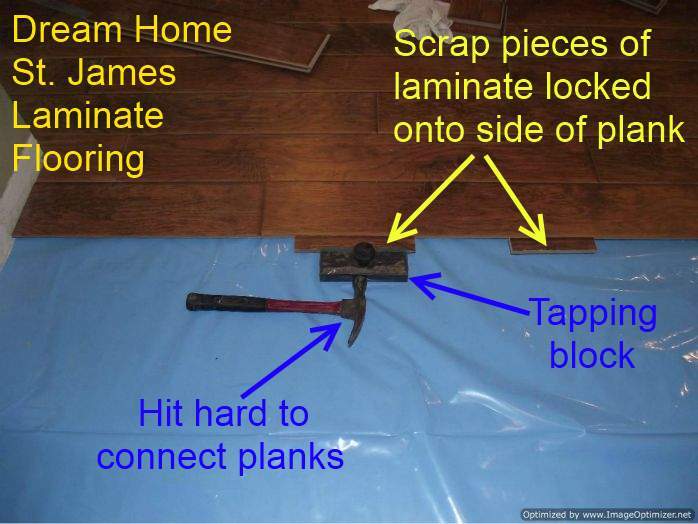 On Lumber Liquidators website they say "Its a snap to lay". This is so far from the truth!. 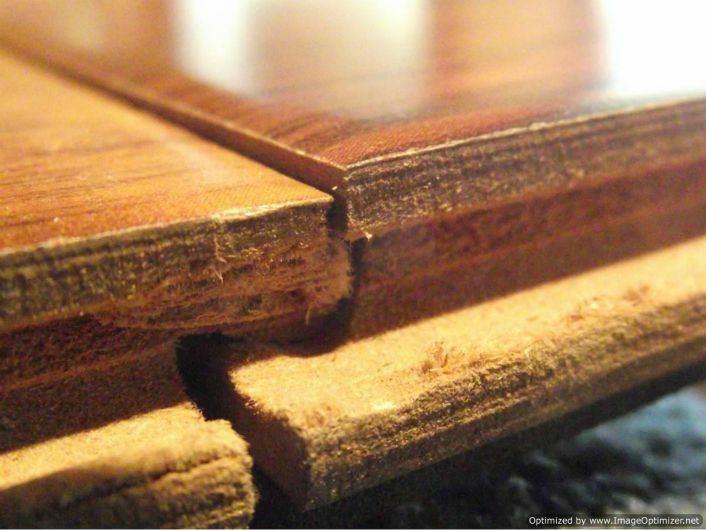 This flooring is made over seas, as a lot of laminate flooring is. The machining along the edges (where it locks together) is very inconsistent. This is a big NO NO for laminate manufacturers. The end joints did not always connect flush (one side higher than the other). In this photo to the left you can clearly see the difference in the thickness of each plank. My client also received boxes that were previously opened and taped back together. I found quite a few boards that were damaged on the corners. Some had light streaks along the edges also. It took me twice as long to install this St. James laminate flooring. In order to connect the planks I had to connect the end joint first and then bang the long side together. And I do mean BANG. I had to cut pieces of the flooring and click them along the edge to do this banging. Otherwise I would damage the edge. It will give you a sore arm. I do have to admit that once I got the floor installed it looked good. It also has a tough surface. Some of the end joints are raised up a little if you feel for them. Its just a hassle to install. And it takes extra time sorting through the boards. This Dream Home St James review was written in August 2012.